The research vessel Rachel Carson is owned by the University of Washington's School of Oceanography and will be part of the UNOLS fleet. It is capable of conducting operations within the Salish Sea and coastal waters of the western United States and British Columbia. R/V Rachel Carson began life as R/V Aora, a fisheries research platform built in 2003 by Macduff Shipyard in Macduff, Scotland. 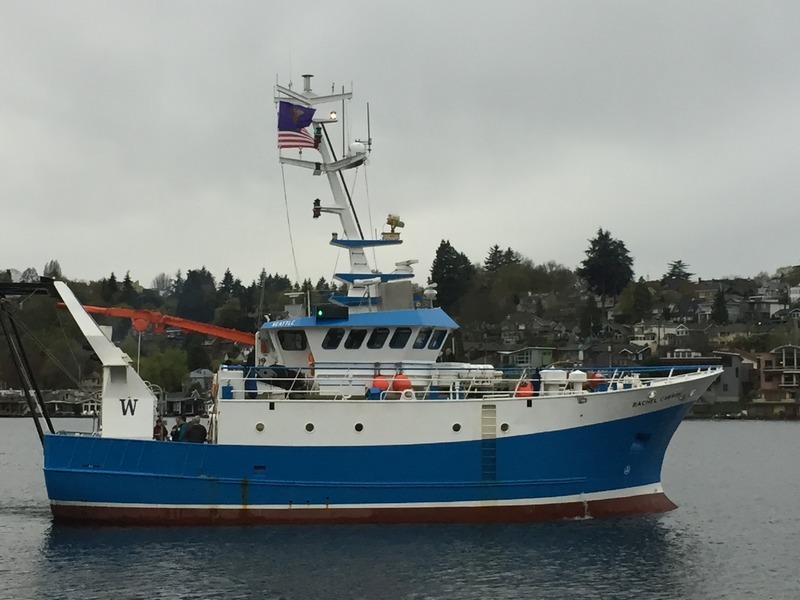 The University of Washington acquired the vessel in 2017 and conducted conversions to support oceanographic research in addition to fisheries research. The R/V Rachel Carson can support up to 28 persons including crew for daily operations while 13 persons can be accomodated for multi-day operations. The vessel boasts four marine heads with showers, a fully functional galley, and a wet and dry lab. The Carson Schedule is secure and requires a UW NetID. To request access, contact the Port Captain. To schedule the Carson, please contact the Manager of Marine Operations. Students and researchers from the University of Washington took their first voyage Saturday morning aboard the R/V Rachel Carson. After an “extreme makeover” that went from stem to stern on five decks of the ship, the R/V Thomas G. Thompson is ready to get back to work exploring the world’s oceans.